Let us fly you to electrifying Seoul to discover K-pop, K-shopping, bibimbap, historic palaces and mystical mountain trails. Air New Zealand is proud to announce non-stop flights between Auckland and Seoul, commencing on 23 November 2019 for sales from late April 2019. South Korea's capital city is known for its energy and excitement, along with a well-developed sense of fun. There's history and nature to discover too, so you can count on an amazing holiday and a wonderful mash-up of memories. Our non-stop flights between Auckland and Seoul will be operated by Boeing 787-9 Dreamliner aircraft. Flight times are about 12 hours going north and 11 hours flying south. When it starts in November, this service will operate three times a week, then increase to five times a week from late December until mid-February. As well as Economy (with optional Skycouch™) and Premium Economy seats, you have the option of Business Premier. Seoul has a character that's all its own. It's slick and sophisticated, driven by a thriving technology sector and a passion for digital gadgets. It's also full of history and stories, with temples, palaces and prisons that promise extraordinary cultural sightseeing. And it has a massive sense of fun that you can hear in the music and see in the fashion. There's never a dull moment in 'Seoul Special City', as it's known to in the administrative circles of Korean government. Right outside of Gangnam Station Exit 5 is an Instagram-worthy tribute to Gangnam Style. You can get on stage and record yourself dancing while the music continuously loops. 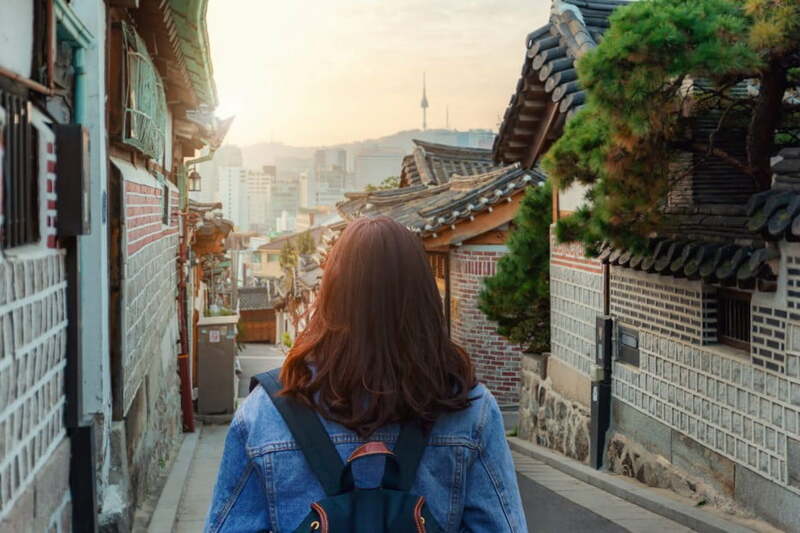 While there are numerous opportunities for guided tours around Seoul, you can easily find your own way around the city's top sights using an unlimited attractions pass to get discounts. The Seoul subway and bus systems are efficient, easy to use and clean. Get a Seoul CityPass and you'll be able to use the subway or bus up to 20 times a day, regardless of distance. Another option is a T-money Card, which gives you a discount of about 10% on the regular fare. You can also Uber around Seoul. One of the most popular things to do in South Korea is a visit to the DMZ (demilitarized zone) that divides the two Koreas. There are many tour operators offering this adventure, either as a half or full day ex-Seoul. From a food point of view, an absolute must-try is Gwangjang Market, a meokjagolmok (street food alley) with more than 200 food stalls. Fill up on kimchi soup, fried chicken, nokdu bindaetteaok (fried mung-bean pancake), bibimbap (rice topped with vegetables, meat, egg and chilli) braised pigs trotters, scrumptious mandu (Korean dumplings) and milky rice wine. For a more upmarket kind of eating experience, point your appetite towards the Cheongdam-dong area on the south side of the Han River. Restaurants like Mingles, Jungsik Seoul and KwonSookSoo are ready to blow your mind with the finest Korean flavours. You haven't been to Seoul unless you've enjoyed the ubiquitous Korean barbecue meal several times. Meat is grilled on a gas or charcoal grill built into the dining table. You don't have to cook the ingredients yourself; someone will arrive to do the cooking for you. The hanwoo (Korean beef) is a top pick - beautifully marbled, so it's tender and juicy to eat. Pork belly is also wonderful as part of a Korean barbecue dinner. Show off your Gangnam style moves at Seoul's top nightclubs, some of which just happen to be in Gangnam District, Seoul's super-sophisticated centre. Big-name DJs spin techno, house and all the latest K-pop hits. Right outside of Gangnam Station Exit 5 is an Instagram-worthy tribute to Gangnam Style, once the most popular song in the world. You can actually get on stage and record yourself dancing to Gangnam Style by PSY while the music continuously loops. Before you hit the clubs, you might want to update your look. Gangnam is home to local favourites like Kimmy J, Works Out and Rare Market. Korean skincare is another temptation you can explore - it's famously effective and refreshingly different. 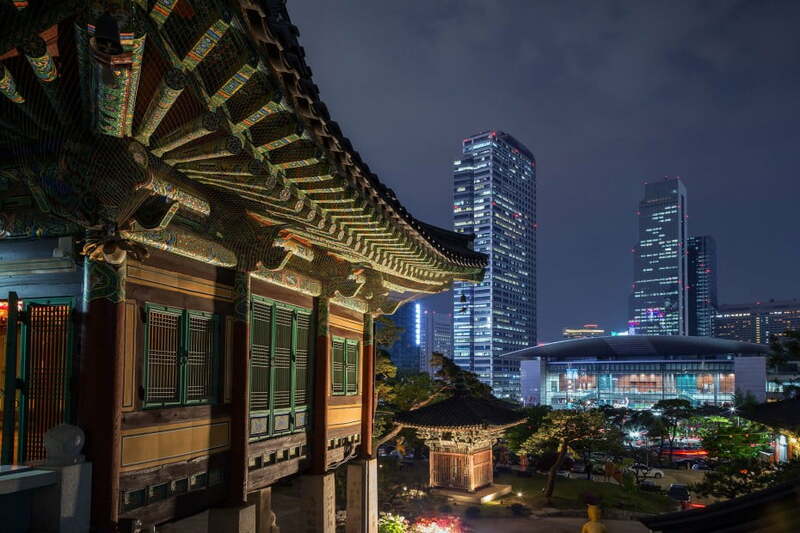 In contrast to Seoul's contemporary urban life, there are numerous temples, palaces and museums that tell stories from the city's rich past. Gyeongbokgung Palace is top of the list, where you can see changing of the guard ceremonies and explore a vast compound full of historical architecture and ornamental gardens. Changdeokgung is another palace to admire. It's World Heritage-listed and dates back to 1405. Stone bridges with guardian animal carvings, the private living quarters of the royal family, terraced gardens and paved courtyards will keep you entranced for hours. On a less-happy note, you can also visit Seodaemun Prison History Hall. Touring the original cell blocks, torture rooms and tunnels is a dark-but-fascinating experience. South Korea is a mountainous country, so almost every green space has a peak to conquer. 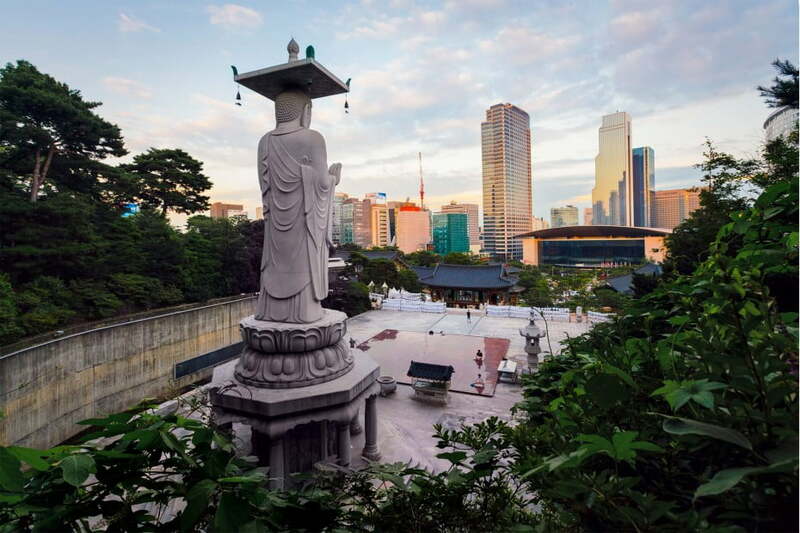 Right in the city, Namsan Park offers spectacular panoramic views of downtown Seoul. If the stairs to the summit don't appeal, you can join the walkers and joggers around the lower trails. South of the city centre, the Gwanaksan Trail is an excellent hiking escape that's accessible by metro. There are great views from the mountain summit and a picturesque temple that's dramatically set on the edge of a cliff. Another outdoor adventure close to the city is Bukhansan National Park. A mountain summit is the main goal here too. You can start at Bukhansanseong Information Centre at the western entrance to the park and finish at the Akademi Information Centre on the eastern side. Many people choose to visit Seoul during the driest months - November, December and January. November also comes with the benefit of autumn colours. These are off-peak times, so crowds are less likely at the main tourist attractions. You can generally expect excellent value for money in Seoul. After paying for accommodation, we recommend you allow NZD$100 to $150 per person each day for food and fun. In addition to routine vaccinations, the following vaccines are recommended for Seoul: typhoid, hepatitis A, hepatitis B and tuberculosis. For stays of up to 90 days, New Zealand passport holders don't require a visa to enter South Korea. Your passport must be valid on arrival. Subject to government and regulatory approval.